For the third year in a row, the Scholars’ Lab and the University of Virginia Library are helping host summer fellows from the Leadership Alliance Mellon Initiative (LAMI) at UVA. The students will pursue original research this summer at UVA in consultation with a faculty mentor. For our part, the Scholars’ Lab and the Library have worked with Keisha John, Director of Diversity of Programs in the Office of Graduate and Postdoctoral Affairs, to organize a weekly series of workshops introducing the students to digital humanities and library research methods. They’ll be getting a broad introduction to digital research and the resources of the library as they think towards graduate school, and we’ve also coordinated weekly board game sessions over lunch (for SLab-style bonding). 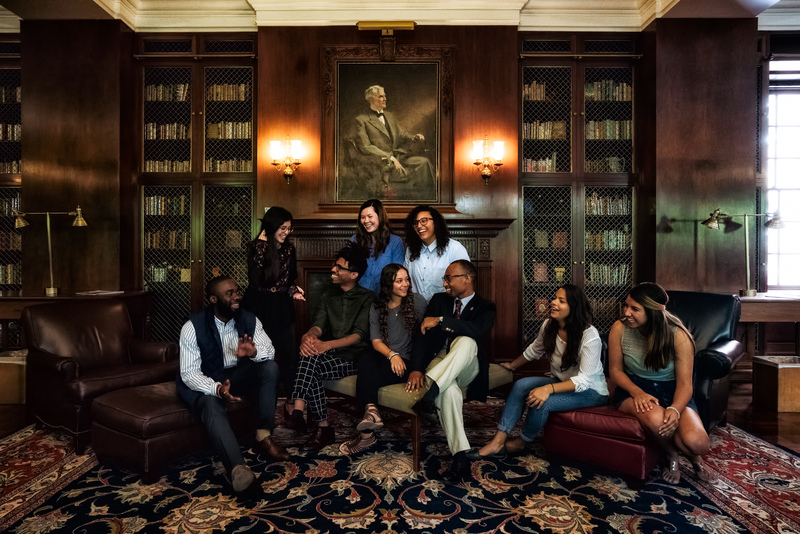 In addition to introducing these students to the resources available at UVA and in the library system, the program aims to increase the number of demographically underrepresented students pursuing graduate work and careers in the academy. You can find more information about the program in a 2015 press release put out by UVA Today when our first cohort was in residence. Two of our own graduate fellows, Jordan Buysse and Sarah McEleney, are serving as dh mentors. These are the students that you might meet if you happen to be around the Scholars’ Lab this summer. Look for more information about them and their projects by clicking through to their bios! They’re a fantastic group, and we’re excited to work with them this summer. Thanks to all of our colleagues at UVA, the Library, and the Scholars’ Lab for their participation in the program. Cite this post: Brandon Walsh. “LAMI Summer Fellows 2017”. Published June 21, 2017. https://scholarslab.lib.virginia.edu/blog/lami-summer-fellows-2017/. Accessed on .